To respect dial up clients we do not have any flash videos on our home page, for a VIDEO of our recent Orlando landscaping projects click here. At Landscapes by Land Art we do not view Orlando landscape as just plants and trees, we view landscaping as a carefully crafted experience. Our Orlando landscaping services will define and enhance the beauty of your property while increasing your quality of life. As you take a few moments to browse our Orlando Landscaping website we hope that you will gain insight on thoughtful choices for your Orlando Landscaping Project. We strive to provide our Orlando landscape clients with a colorful, vibrant and vigorous year round landscape. Please take a few moments to explore our website and learn about landscaping in Orlando and our landscaping company. Whether creating a total Orlando landscape site plan for your residence, commercial building or resort project, refurbishing your existing Orlando landscape, or simply adding that one special tree, you can feel confident that Landscapes by Land Art will help to realize your personal landscape vision. 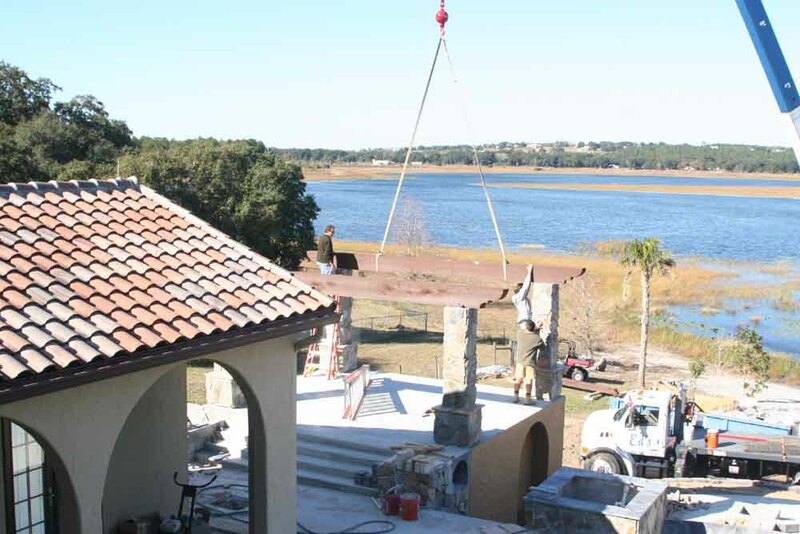 As you experience the progression of the installation of your Orlando landscape you will watch your project transform into a spectacular landscape. When viewing landscaping in Orlando you might not realize that there are thousands of diverse PLANTS that are readily available to the Orlando landscaper for use in Orlando landscaping projects. Landscaping in Orlando involves the creation of a work of art upon the land, one that is tailored to our clients landscape needs. We are continually visiting Florida landscape growers to inspect their available landscape plants, to educate ourselves on new and upcoming landscape plants and to experiment with colors and textures of landscape plants. All of this research translates into the care that we have for the final product that we deliver to our clients. Our continuning education and exploration regarding landscapes in Orlando set us apart from our competitor landscaping companies. You may visit our Before and After gallery to view some of the transformations that our Orlando landscape services have created. Our Orlando landscaping clients are requesting water conserving landscape practices or green landscaping principles more frequently with the change in watering restrictions. Xeriscaping or XERIC landscape refers to the practice of gardening or landscaping in ways to reduce or eliminate the need for supplemental watering. In Orlando, Xeriscaping also considers the reduction of water from evaporating and the prevention of water run off. Xeriscaping is accomplished through the use of native plants, whose water requirements are appropriate to the local climate. Some other terms that refer to the principles of xeriscape are water-conserving landscapes, drought tolerant landscapes, zeroscaping, smart scaping, and water wise landscape. The term xeriscape was coined by employees of the Denver water department. Evaporation is reduced through the use of sub surface or localized irrigation systems in Orlando partnered with appropriate mulching. Water run off can be controlled by reducing slopes, creating swales to capture water and hold it until it infiltrates into the ground. Rain gardens can be created in these retention areas utilizing plants that are more accepting of standing water. You may be wondering WHAT services do we offer? 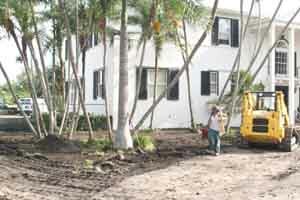 Landscapes by Land Art offers a variety of Orlando landscape services. Our landscape service specialties include landscaping, Orlando landscape lighting services, Orlando Irrigation installation and repair, Orlando paver services, Orlando Hardscape construction, Orlando landscape drainage services, Orlando landscape maintenance services and landscape design services. You may be wondering WHERE Landscapes by Land Art focuses our landscape company services in Orlando and the central Florida region. Our focus of work is in Orange County, Lake County, Seminole County and Osceole County. Although most of our work can be found in central Florida, we do work outside of this region on landscapes of exceptional focus. As many of our clients have properties throughout the state of Florida, we have projects in Tampa, Miami, Hollywood, Naples and other statewide locations which are provided at competitive priceing. 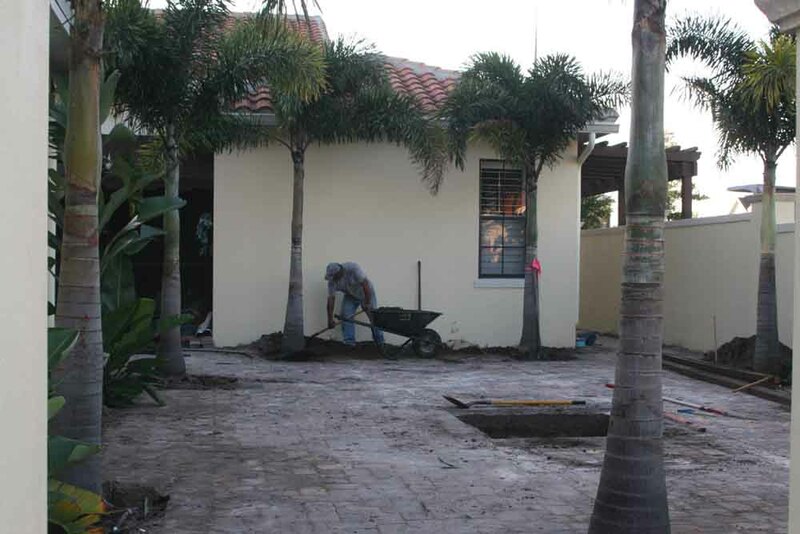 You may want to request an ESTIMATE for your upcoming Orlando landscaping project. After you have completed your research and have added Landscapes by Land Art to your list of potential landscape contractors, please call (407-844-6658) or email us to request an estimate. Estimates are provide free of charge and on an as requested basis. Please keep in mind that we tend to our engaged clients on a daily basis, yet estimates are provided in a timely fashion. When a future client calls to request an estimate for our landscaping services, we will arrange a meeting at your site to discuss your landscaping needs. As every project differs in size, scope of work and materials, every estimate is different. 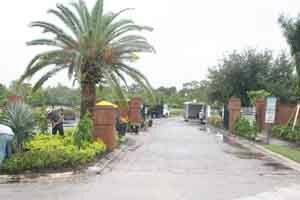 Due to the nature of Orlando Landscaping projects there is no way to provide a blanket quote over the telephone. Your quote will be based upon the materials and labor required to complete your project. As an Orlando landscaping contractor we remain competitive in pricing and within industry standards. 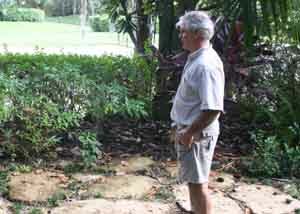 At Landscapes by Land Art we understand that VALUE is important to our existing and future Orlando landscaping clients. 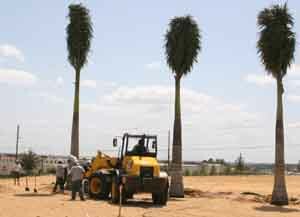 Shall you select us as your landscape contractor of choice, we will provide you with value through various means. As we own our landscaping equipment with the exception of cranes, this provides value to you as we are not renting equipment to construct your project. Our equipment ownership also helps us keep to your projects schedule. Additonally our low overhead offers you value in your landscape through our reduction of paperwork and facilities. Our informative website and project referrals create a low advertising budget which results in value to our customers. Additional value is delivered to our customers through our knowledge of plant materials and their growth habits. As landscaping in Orlando requires knowledge of micro-climates, root structures of plants, growth habits, water requirements, sun exposure and many other factors, our knowledge and experience result in helthy, thriving landscapes. We do not create value through using low quality plants or materials or through "Bait and Switch" tactics that some landscaping companies engage in. "Bait and Switch" is a practice that some landscape contractors engage in where they will sell you a larger size plant and install a smaller sized plant, typically you are promised a three gallon plant and a one gallon plant is installed. Your personal investment in our Orlando landscaping services will result in an increased property value as well as an increased quality of life. Our customers continually comment upon how much they enjoy comeing home to their new landscape, or how much more they use their new outdoor living environment. At Landscapes by Land Art we are creating exceptional landscapes, one project at a time... will yours be next? 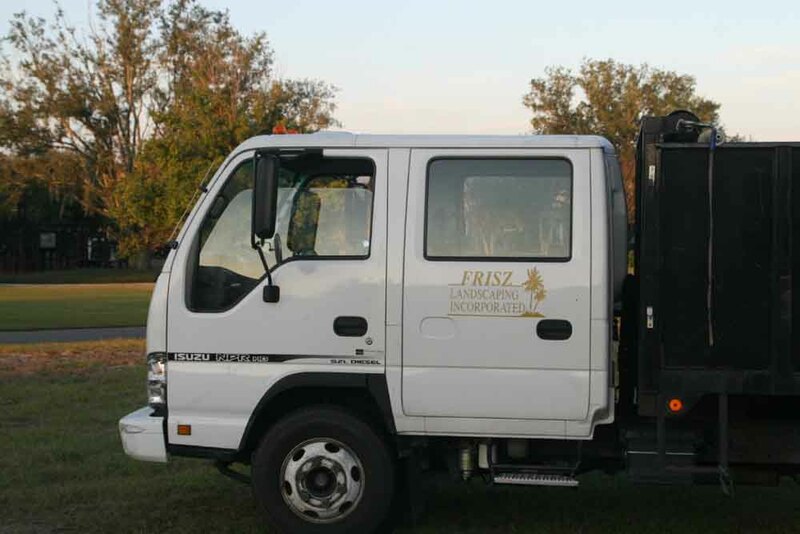 We hope that you find our website informative and that it helps enable you to make the proper selection for your Orlando landscaping services provider. Please keep in mind tht our Orlando landscape services include, Landscapes, Hardscapes, Irrigation, Landscape Lighting, Pavers, and Maintenance for Residential, Commercial and Resort Properties. Please call us with your own ideas or we can assist in scheduling a meeeting with our Landscape Architect for a consultation. Call us today to discuss your investment in outdoor living through landscape.